A small hut located near Douglas Saddle. Easiest access is from the Mikonui valley. None of the routes are recommended in wet weather or soon after heavy rain as there are lots of unbridged river/stream crossings. There is good access information to be obtained by clicking on the "remotehuts" (permolat group) link below. This hut is at the junction of four tracks leading to varied tramping, hunting and climbing. Some quite challenging circuits including Explorer Hut can be made from the Mikonui or Hoki/Whitcombe roadends or from part way along the Totara valley road. 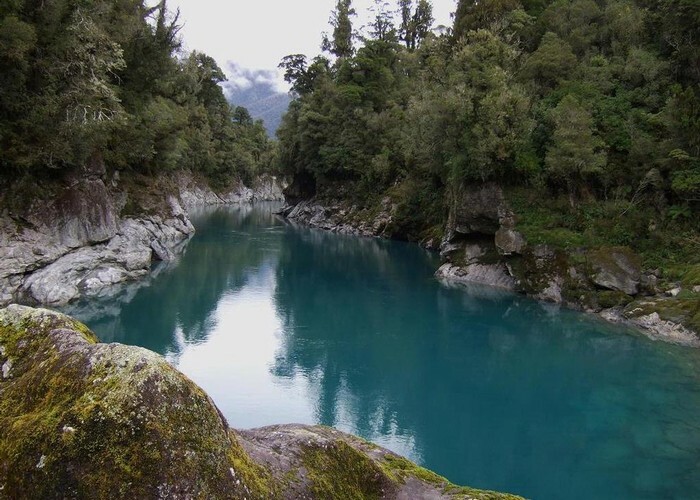 Hokitika River (Bottom Gorge) • By glennj. Licence: C.
Added 11 November 2009 by MatthewMatthew. 5 revisions, most recently 30 June 2018 by glennjglennj.